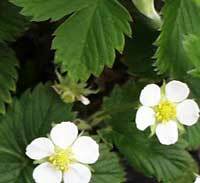 Get your dose of strawberry plant information here. Strawberry plant details are fascinating, and the complexity of strawberry plants and their fruit is wonderful! Q: How Many Strawberries in a Serving / Strawberry Serving Size? What is the key to a heaping harvest of mouth-watering, juicy, delightful strawberries? Simply put: the strawberry roots. Healthy strawberry roots are the key to a healthy strawberry plant. Roots are just roots, right? Well, the fine filaments that absorb the needed nutrients from the soil that help each plant set a heavy crop of strawberries are a bit more sophisticated than you might imagine. 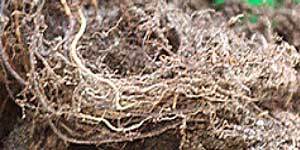 This article will help you understand the nature and importance of strawberry root systems. Strawberry plants information is plentiful on the internet. Lots of useful nuggets are already prominent and readily available on this site. I get many questions, however, about the strawberry plant itself. So, it may be helpful to revisit some of the general characteristics about the strawberry plant. Habit: Strawberry plants are non-woody. They are classified as forbs. Since they have no woody tissue to support tall growth, they are short. The four major anatomical features of strawberry plants include the crown, leaves, roots, and runners. The plants typically reach a maximum height of around one foot (12 inches) in height, but can be a bit taller or a bit smaller. How Fast Do Strawberry Plants Grow? Mostafa, asked: How fast do strawberry plants grow in km/h? Answer to: How Quickly D0 Strawberry Plants Grow? No one has ever asked me before how fast in km/h a strawberry plant grows! 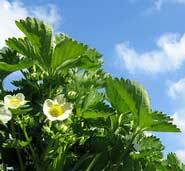 An average modern strawberry plant can be expected to reach towering heights of about 12 inches at its highest point (it is, after all, a forb). 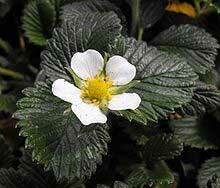 It usually takes an established strawberry plant about 2 months from the break of dormancy to get there. A new seedling will typically take around 6 months to reach that milestone after germination, depending on its environment. 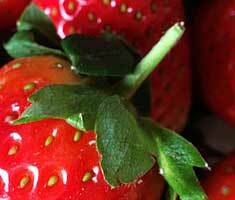 Read moreHow Fast Do Strawberry Plants Grow? Few things are more frustrating for a farmer or gardener than to toil for hours in heat and rain while nurturing his growing plants with tender loving care only to see some infernal sign that a microscopic invader has set up shop among the plants. After working for hours preparing the earth, planting the plants, and weeding out the uninvited party crashers, it can provoke feelings of desperation, despair, and disillusionment to watch once-healthy plants wilt and die. 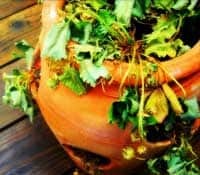 The wilting of future dreams and enjoyment as the plants become marred and disfigured with bacterial blemishes and fungal flaws is enough to make a budding gardener hang up the trowel and garden gloves for good. Be ye irked no longer! You don’t have to wave the white flag of final surrender if the unseen organisms wage war upon your growing goodies. In fact, you can identify and slay such scurrilous offenders with a little help from qualified specialists. If You Plant a Strawberry Top, Will It Grow a Strawberry? Read moreIf You Plant a Strawberry Top, Will It Grow a Strawberry? Few things are more exciting to a green thumb than strolling about outside and discovering a native fruit-producing plant growing wild. I’ve had several such occurrences in just the last few years. I was as giddy as a kid in a candy shop a while back when I noticed a mulberry tree laden with dark, almost black fruit tempting me with its heavy branch hanging over my head and almost brushing my hair on a sidewalk in the middle of a suburban setting. I guess no one ever thought to cut down the tree growing near the runoff drain, but I harvested as many fresh mulberries as I could before I had to leave the area. I’ve often stumbled into wild blackberry thickets in my wanderings, and just last year I discovered four wild American persimmon trees not a mile from my dwelling place. How Tall Do Strawberry Plants Grow? Q: How Tall Do Strawberry Plants Grow? Answer to: How Tall Do Strawberry Plants Grow? 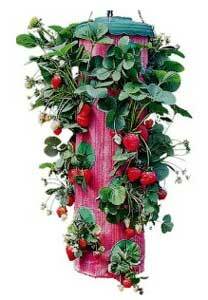 Read moreHow Tall Do Strawberry Plants Grow? More and more people are growing their own strawberries as a hobby or as ornamentals or for production in their home gardens. Few things are as frustrating as eagerly anticipating years of bountiful strawberry harvests and then watching the plants go from apparently healthy to wilted. Wilting strawberry plants can make even the most stolid gardener attempt to forcibly remove his own follicles in a fit of perplexity. This post is a review of what causes strawberries to wilt. Sometimes wilting strawberries can be salvaged if the underlying cause is discovered and remedied. Oftentimes, however, once the wilt sets in, there is little that can be done if it is caused by a pathogen. 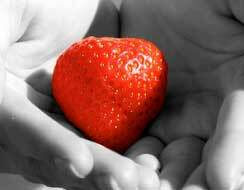 Most people who raise strawberries do not start them from seed. 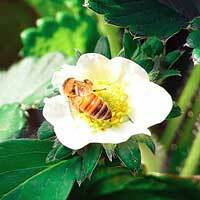 They buy strawberry plants from a local nursery or a mail-order nursery. They then receive, most often, dormant strawberry crowns that they quickly plant in their prepared beds, water them, and watch as the dormant strawberries spring forth into new life. However, there are brave souls out there that want to begin the life cycle of their strawberries by germinating strawberry seeds and then coaxing the tiny seedlings to grow until they are ready to transplant. With all the TLC given to the tiny plants, it would be a shame to make a mortal mistake for them when they are finally sturdy enough to make the transition to the outside. Thrips and strawberry plants simply don’t go well together. Thrips are one of the devastating strawberry pests that afflict strawberry plantings and enrage gardeners. If you are having difficulties with “something” damaging your strawberries, it just might be this common pest. To most clearly communicate the nature of strawberry thrips and information regarding these insects, a question and answer format will be used. For additional information on both strawberry pests and strawberry diseases, use the search function at the top right of Strawberry Plants .org. Strawberries are jam-packed (no pun intended) with wholesome nutrients. A serving of whole strawberries is generally considered to be one cup (see here for strawberry conversions). A cup of fresh strawberries will vary by weight depending on the size and specific variety of strawberry that is consumed. 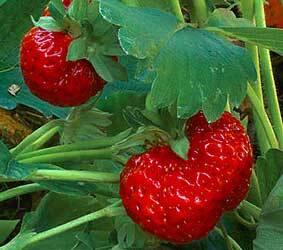 Also, strawberry nutrition can be affected by the quality of the soil and care given to the plants as they produced. In general, however, the following table will provide an accurate representation of the vitamins, minerals, and other components within a serving of strawberries. 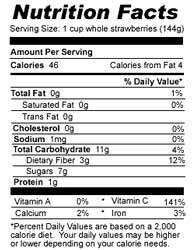 These strawberry nutrition facts will help you realize just how beneficial strawberries are in one’s diet! How Many Strawberry Species Are There? If you have ventured over to the Strawberry Varieties page and seen the extensive list of strawberry cultivars presented there, you may have thought to yourself, “Just how many strawberry species are there out there?” Good question. When it comes to identifying strawberries, strawberry plant taxonomy comes into play (for introductory information, view the Strawberry Plant page). 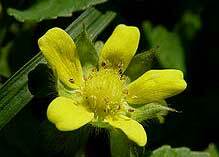 And, to identify strawberry plant species diversity these days, genetics plays a big role. One important consideration to keep in mind is that there is a fairly big difference between species and cultivars. Species have a degree of genetic variation that sets them apart from their counterparts while cultivars are identifiable plants expressing genetic diversity within a species (or hybridization). So, how many strawberry species are there? 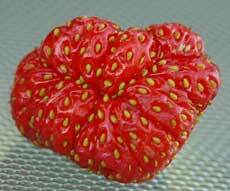 Read moreHow Many Strawberry Species Are There? This publication is hosted and provided by the United States Department of Agriculture’s Agricultural Research Service in Beltsville, Maryland. It is part of the National Genetic Resources Program of the National Germplasm Resources Laboratory. This resource is part of the online database maintained by the Germplasm Resources Information Network (GRIN for short). Strawberry plants are a wonderful forb. Their life cycle is much more complicated than the simple appearance of the humble strawberry plant implies. The growth cycle of strawberry plants spans the entire year and repeats annually. 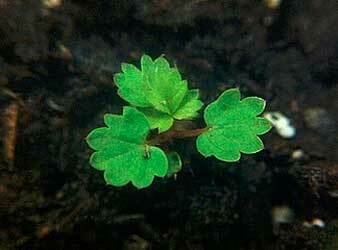 The life cycle of strawberry plants begins either from seed or from runner plants, and continues until senescence. 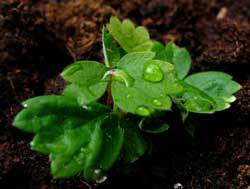 This post is an overview of the life of a strawberry plant from germination until withered, brown leaves signify the passage from life unto death. As with any cyclical scenario, it is difficult to choose a starting point (which came first, the chicken or the egg?). 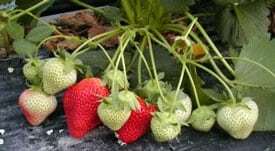 For the purposes of describing the life cycle of strawberry plants, a dual starting point will be considered as a sprouted strawberry seedling and a new strawberry runner. While both of these starting points require the existence prior life, a discussion of the origins of life is outside the purview of this article. This publication was produced by the Agricultural Extension Service of the University of Tennessee. It was written by Steve Bost, Professor of Entomology and Plant Pathology, and R. Allen Straw, Assistant Professor of Plant Sciences and Landscape Systems. While this publication is geared toward strawberry plant diseases in Tennessee, many strawberry diseases are widespread. Consequently, the material contained within this document will be of assistance to any strawberry grower whose strawberry plants are suffering from infections. Have you ever seen those hideous, misshaped strawberries? If so, you might have wondered what causes deformed strawberries to be that way. Well, Strawberry Plants .org is dedicated to bringing light to all things related to the strawberry plant. And, unfortunately, deformed strawberries are a fact of life. 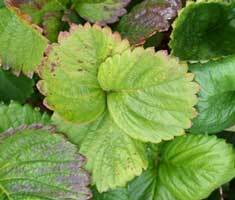 There are a host of strawberry plant pests that are a constant nuisance to the gardener who has planted strawberry plants in hopes of a bountiful strawberry harvest (see the Strawberry Plant page for the most common perpetrators). With studies showing that organic strawberry plants are better than conventionally-grown strawberry plants, there has been a shift away from using the highly toxic chemical pest control methods. 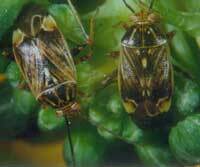 One of the most maddening pests is the tarnished plant bug (TPB). TPBs are the bane of farmers who grow small fruits and vegetables, including strawberry growers. The bugs are tremendously resilient. 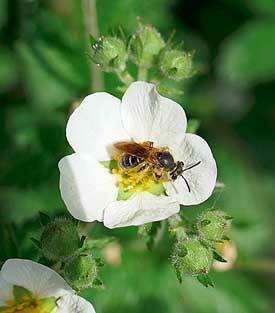 In an attempt to kill them off, farmers will often apply insecticides three to five times per year. All these insecticides may be necessary for commercial operations, but home gardeners may be able to avoid such measures (see here for 10 Reasons Why You Should Grow Your Own Strawberry Plants). What Type of Plants Are Strawberry Plants? 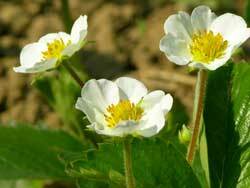 Have you ever wondered what type of plant classification into which the humble strawberry plant falls? Think about it for a moment, and you will see just how unique strawberry plants are. They are short. They have dark green leaflets with serrated edges. They produce strawberries that weigh a tremendous amount compared to the weight of the vegetation that supports them. They obviously aren’t trees. They aren’t shrubs. Due to the fact that they produce strawberry runners, some might be tempted to think they are a vine. They aren’t. Are you curious yet about what type of plant is a strawberry plant? The answer can be found by continuing to read, but I’ll give you two clues. The classification of strawberry plants comes largely from the characteristics of strawberry flowers and its vegetative growth. Read moreWhat Type of Plants Are Strawberry Plants?